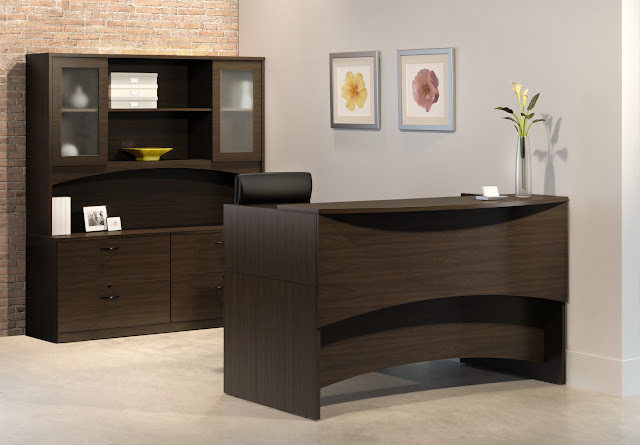 The Brighton reception desk collection shows from the moment guests walk in your door, they will be impressed by Brighton¥'s clean, sophisticated lines and attention to detail. 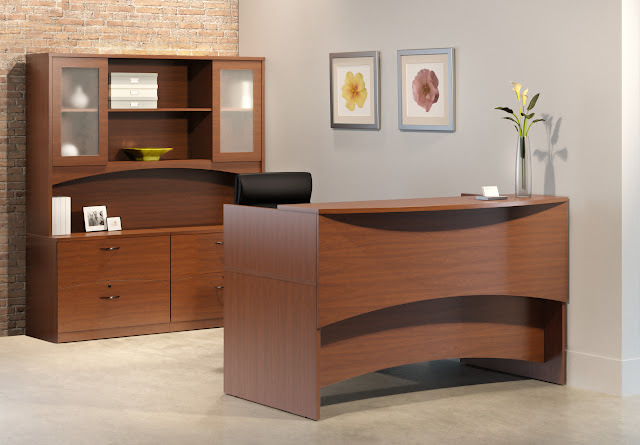 Then Brighton discount office furniture has gentile curves and vertical grain patterns in both the reception desk and hutch. Smart, efficient office storage cabinets abound to keep all critical documents at your fingertips. Make your first impression count. Choose the Brighton reception desk and office furniture. To complement your reception desks, we offer many choices of lobby chairs, small tables, and sofas. Reception desk furniture is highly visible and it must be durable. If you choose the right reception desk and furniture it can make the image of your business long lasting. You get only ONE opportunity to make a first impression to your customers _ with the Sorrent reception desk you can make it a good one and save time and money in the process! Our office furniture specialists will help you choose the right reception desk and office furniture to fit your companyÍs needs, as well as your budget.